What is an ecosystem? What are some of the parts of an ecosystem? How do the parts of an ecosystem interact with one another? 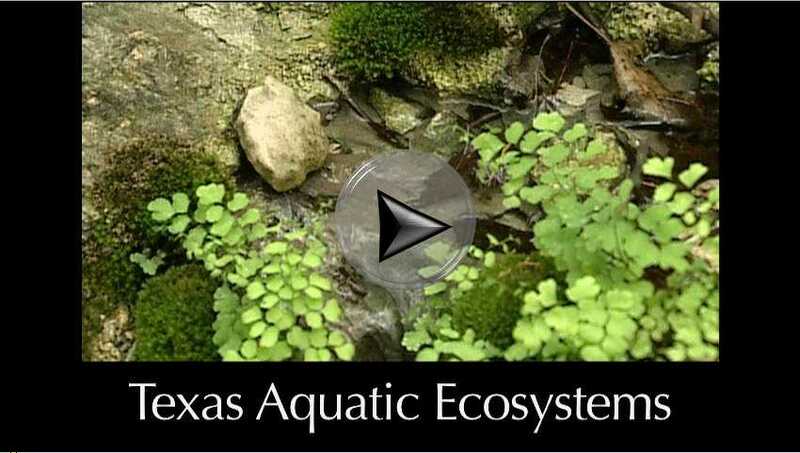 What kinds of aquatic ecosystems do we have in Texas? How are they alike or different from one another? What is biodiversity? Why is it important? How do humans impact aquatic ecosystems? How can we help conserve aquatic ecosystems? How is the diversity of species in Texas’ aquatic ecosystems connected to the economic well-being of Texas’ citizens? An ecosystem is a complex web of relationships between living and non-living things. The study of ecosystems is known as ecology. The biotic parts of an ecosystem are the living components, such as the communities of plants and animals, including humans. The abiotic parts are the nonliving components, including sunlight, air, water, temperature, and minerals. Each part of an ecosystem is connected to and depends on all the others parts. It takes all the parts interacting in a balanced fashion to make the system work. Changes to any part of an ecosystem can affect many others, which in turn may affect many more. A healthy, balanced ecosystem provides for the needs of the communities of life that are part of the ecosystem. Aquifers are underground reservoirs and rivers of water. The water they contain is called groundwater. Aquifers form where water seeps into the ground over time. Sometimes this water is ancient, having fallen on the land thousands of years ago. Most of Texas’s land surface sets over aquifers, some large and some small. About half of the water we use in Texas is pumped from these aquifers by manmade wells drilled deep into the Earth. Aquifers need water seeping back into the ground to replenish the water that is pumped or drained out. These areas are called “recharge zones.” A recharge zone is the area of land above an aquifer where surface water soaks back into the ground or travels through cracks or fractures between rocks deep into the Earth. Aquifers are very important to Texas’ economy and one of the reasons why people are able to live, ranch, and farm throughout the state. Springs are the points where, because of the underground geology, groundwater travels to the surface and emerges from the ground. Springs can be a slow seep or spring water can bubble up in pools and ponds. Springs sometimes form the headwaters of streams and rivers. Texas is home to over 3,000 springs, including some of the largest in the United States. Rivers and streams are flowing water with a measurable current. The current flows between the stream banks and over an underwater streambed or riverbed. The word “stream” can be used to describe all flowing natural waters. “Rivers” are just large streams. Streams are ever-changing systems that move and store water. They also move and store sediment and organic matter, such as leaves that fall into the water. Texas has different kinds of streams that vary from one end of the state to the other. Streams have different sizes, shapes, lengths, flow rates, plants, animals, water quality, and streambed composition (for example, rocks or sand). Regardless of their size, shape, or location, all healthy Texas streams and rivers share a common feature: they are diverse ecosystems. The plants and animals living in them exist in balance with the processes that recycle nutrients, or chemicals in the water organisms need to grow. The healthiest streams are those that flow freely and have natural banks and streambeds. Streams and rivers are important to people both ecologically and economically. They have been used from the earliest times by humans for travel and commerce. They carry the water humans need for life, and they often are used to carry away their wastes, as well. Streams and rivers contain fish and attract wildlife used by people for food. They are the means by which freshwater is carried to the ocean, forming ecologically important wetlands and estuaries along the way. 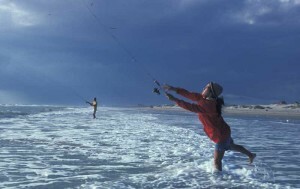 They also provide places for recreation important to Texas’ economy, including paddle sports, fishing, wildlife watching, and hunting. The many lakes and ponds in Texas have been built by humans by placing dams across rivers or streams. These range from small ranch and farm ponds of less than the size of a football field, to large lakes such as Lake Fork near Dallas and Lake Travis near Austin. The largest of these lakes impounded by dams are usually called reservoirs. There are over 200 major reservoirs and over 5,000 smaller ones in Texas. Texas lakes and ponds are used to hold water for use by people for drinking, production of electric power, recreation, and use in agriculture, such as watering crops and for ranch animals. Boating, fishing, water skiing, and other outdoors experiences add billions of dollars to the state’s economy each year as people buy equipment for these recreational experiences and pay to travel and stay at outdoor locations. Small ponds are formed by trapping water in valleys or other low spots in a watershed. Ponds are usually shallow enough that if the water is clear, sunshine can reach the bottom, allowing rooted plants to grow completely across it. A pond’s water temperature changes with air temperature and is about the same from one end to another and from top to bottom. There is little wave action, and the bottom is usually covered with mud. Lakes are bigger than ponds, so they are often too deep for light to reach the bottom and grow plants much beyond the shoreline. While lakes and ponds have much in common, a lake’s larger size and greater depth create differences in physical and chemical characteristics, including changes in dissolved oxygen and the temperature from top to bottom. Wetlands are the “in-between” places, where water meets land. These are lands covered with shallow water at least part of the year. They can be present along the edges of rivers or lakes as the transitional zone between uplands and deep water, or wetlands can be individual bodies isolated or connected to other water bodies by groundwater. Think of wetlands as giant sponges laid out on the ground. When it rains, these are places where water collects and is held or where water slowly drains away over time. Wetlands can be big or small, full of tiny floating plants or massive trees. They are found from mountain top to estuary. 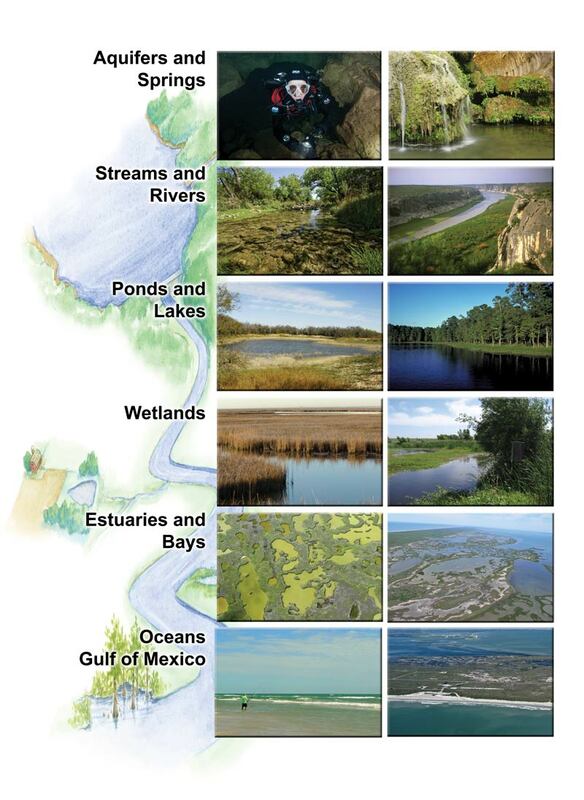 They are coastal shorelines, marshes, stream banks, and swamps. Life gathers around wetlands, and wetlands give life. Wetlands are among the most productive ecosystems in the world. Texas has many large and ecologically important coastal wetlands. These kind of wetlands are situated in Texas’ estuaries and bays. Up to 90% of Texas’ coastal saltwater fish species depend on wetlands for food, spawning, and places where their young can hatch and grow up. Yet wetlands have a bad reputation to some people. There are those who think these shallow waters are nothing more than stinky, bug-infested wastelands. Some people even think wetlands should be drained and used for other purposes. The truth is, healthy wetlands are very important to us. They help maintain water quality, recharge aquifers, reduce flooding, provide habitat, and are great places to go paddling, hunting, fishing, and wildlife watching. Wetlands are dependent on the presence of water for all or part of the time. Because of this, wetlands that do not have water in them year-round can sometimes be difficult to recognize and protect. Sadly, Texas has lost over half its wetlands. Many have been lost as a result of human alterations, draining and filling. Many of the wetlands that are left have been partially filled in, polluted, or altered to the point they no longer function naturally. Taking care of the wetlands that are left and restoring them are among the biggest challenges facing natural resource managers today. Although use of the terms estuary and bay are often interchanged, estuaries are where one or more rivers flow into a partially enclosed area on the coast, mixing freshwater with the ocean’s saltwater. This water is called brackish. Bays are also partially enclosed by land, but bays open directly to the ocean. A bay’s water can be brackish or saltwater. Freshwater moves from land to the ocean in various ways — as flowing rivers and streams, as runoff from land near the coast, and as spring flow from aquifers. At the ocean’s edge these freshwater inflows mix with saltwater to create Texas’ many brackish (a mix of freshwater and saltwater) estuaries. This “freshwater inflow” delivers essential nutrients and sediments along with the freshwater. Salinity is a measure of how much salt is in the water and is affected by how much freshwater reaches the coast. 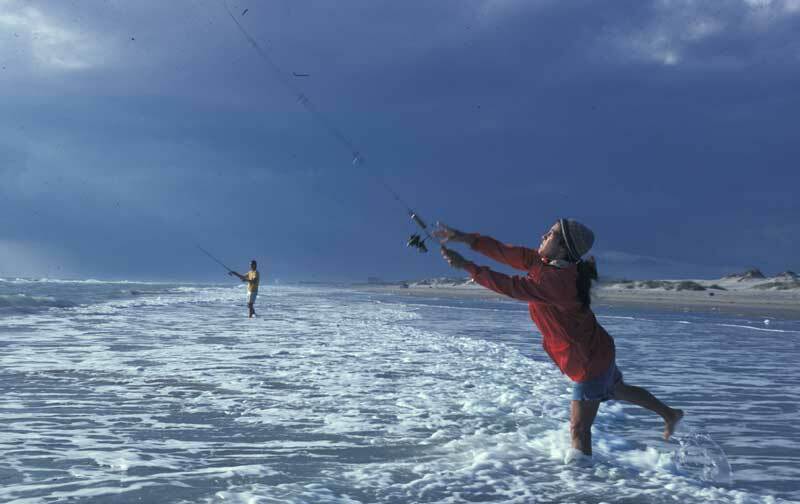 Salinity plays a critical role in the health of fish and other coastal plants and wildlife. Too little freshwater allows the estuaries to become too salty for many plants, fish, and wildlife to survive. This dynamic mixing of freshwater and saltwater produces nutrient rich, dark colored, and turbid waters. These waters feed estuary and bay habitats upon which 90% of all the commercially and recreationally important fish and shellfish of the Gulf of Mexico depend. The mud and sand bottoms of Texas’ estuaries and bays are dominated by extensive seagrass beds and benthic communities, including numerous oyster reefs. This essential habitat is being lost. About 60% of Texas’ shoreline is eroding away and almost half of Texas’ original coastal wetlands are gone. Coastal barrier islands run along the entire coast. These long, narrow islands block direct flow of freshwater to the ocean, creating productive estuaries and helping protect bays and shorelines during hurricanes and storm surges. Barrier islands host fascinating, yet sometimes fragile, ecosystems. 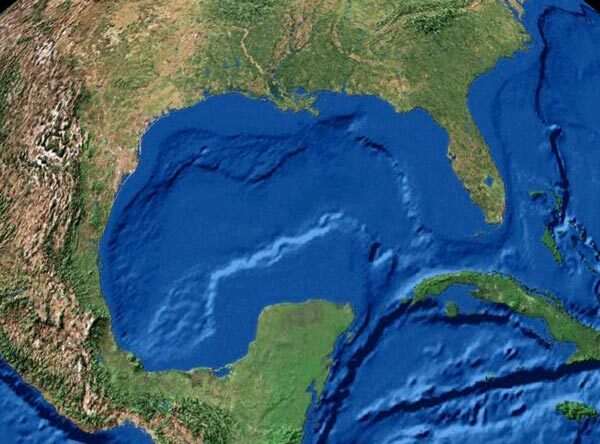 The Gulf of Mexico is the ninth largest body of water in the world. It’s formed like a giant wide-brimmed bowl with the edge full of shallow bays and estuaries. (Fig. 6.3) Starting from the coastline and moving out into the ocean, the Gulf has wide and shallow shelfs that gradually slope into the deeper Gulf waters. The floor of the Gulf is mostly a vast expanse of undulating soft mud bottom. 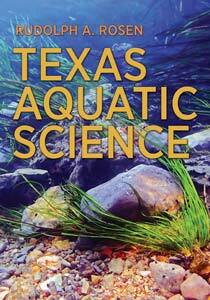 The freshwaters that flow into the Gulf greatly affect the health of the aquatic life there. For example, the water flowing from the Mississippi River along the Louisiana coast has created a hypoxic zone, often called the dead zone. This is a vast area deficient in dissolved oxygen where many organisms become stressed or can’t survive. This environmental threat comes from excessive nutrients and wastes carried into the Gulf by the Mississippi River, which collects water from 41% of the continental US. Over the last 90 years, the Gulf and US coastline has changed dramatically. Fifty percent of our Coastal wetlands are gone, up to 60% of the seagrass beds have been lost, and over 50% of our oyster reefs have disappeared. In Texas, reduced freshwater flowing into estuaries and bays reduces the amount of certain kinds of habitat needed by many of the Gulf’s most important species to people and the aquatic ecosystem. Life in healthy aquatic ecosystems is constantly progressing toward a state of balance, but balance does not mean a lack of change. Ecosystems are always changing. Change comes in response to natural or human-caused events. For example, heavy rains can force a river to change course, leaving the old channel and forming a new one. A human activity such as straightening a stream speeds up erosion and cuts out curves that shelter fish and other aquatic life. Changes may destroy habitat for some species and create habitat for others. Whether changes are good or bad depends on how they affect the ecosystem’s biodiversity. This term refers to the variety and number of different species and populations. The more closely the biodiversity in an ecosystem matches that of a completely natural system, the healthier, more sustainable and better balanced it is. Some human activities that can reduce aquatic biodiversity are draining a wetland, damming a river, or pumping so much water out of an aquifer that springs no longer flow. These activities destroy habitat, which is the main cause of species decline. Therefore, protecting and restoring a wide variety of aquatic habitats helps keep species from becoming endangered or extinct.